Stevens Worldwide Van Lines awarded Governors Fitness Award. This year’s Governors Fitness Award for Outstanding Healthy Workplace at the Diamond Level in the Large Size Organization category was awarded to Stevens Worldwide Van Lines! This achievement will be celebrated with a day-long, two-part event on April 24, 2014. The Governors Fitness Awards is an annual event put on by the Governors Council on Physical Fitness, Health, and Sports and the Michigan Fitness Foundation, for the purpose of honoring individuals and organizations that are making improvements for the betterment of their community. Part one of the event will begin at 8:30 in the morning with a legislative reception on the 1st floor, at the State Capitol in Lansing. Here, nominees will have the opportunity to meet with legislators before a short program and award presentation. Following the award presentation, nominees will visit the gallery of the State Senate, during this visit they will be recognized by legislators. Once 6:00 PM comes around the doors will open for part two: Nominees and community members will attend a Gala Celebration at Ford Field with the formal program starting at 6:30 PM. At this time, board and council members from Governor’s Council on Physical Fitness, Health and Sports will honor every finalist and announce the award winners. Each nominee will receive two complimentary tickets to the gala celebration at Ford Field, and additional tickets will be available for purchase. Congratulations to all Stevens staff participating in this healthy event! One thing people realize as soon as it comes time to move is how difficult it can be. 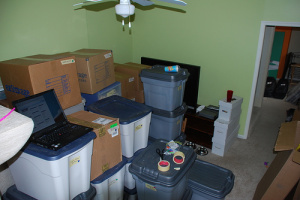 However, with a few simple tips and tricks, your move could be seamless and organized. Keep this blog handy and share it with your friends for 14 tips for an easy transition into your new home! Pack big bundles of clothes hanging in your closet by keeping them on the hanger, putting a garbage bag up and around them, and secure at the top with the drawstring. Use shrink wrap to wrap your silverware in its holder. Pack boxes full of essentials with red duct tape to locate them easily. MUSTANG ALLEY FEATURES NEARLY 50 YEARS OF FORD MUSTANG HERITAGE ON DISPLAY AT THE ANNUAL WOODWARD DREAM CRUISE . …and we are hosting it right here in Indy! Are you going? As an Indiana fan, I’m disappointed in their performance this season, but I am not a fair weather fan and will continue cheering them on despite their record this season. 2014 is the ninth time Indianapolis has hosted the Tourney and the first game tips off at noon on Thursday with 8th seeded Indiana taking on 9th seeded Illinois…click here for the brackets to follow all the games! Detroit Seeks Bids For Old Tiger Stadium Site. MAYBE A GREAT SITE FOR THE NEW STEVENS WAREHOUSE!! Read more about the multi-million dollar sales and marketing plan on Twitter @edmelton or follow this blog. Stevens, 109 years old is helping to rebuild Detroit!